SHAPE artist Hiele has released Lips – a new LP in collaboration with Lieven Martens, known for his project Dolphins Into the Future. The Hiele Martens debut LP ships from May 31, whereas the digital version is available via Bandcamp. The album is published by cult Belgian experimental music label Ultra Eczema, known for releasing works by Wolf Eyes, Felix Kubin, Paul Flaherty and many others. 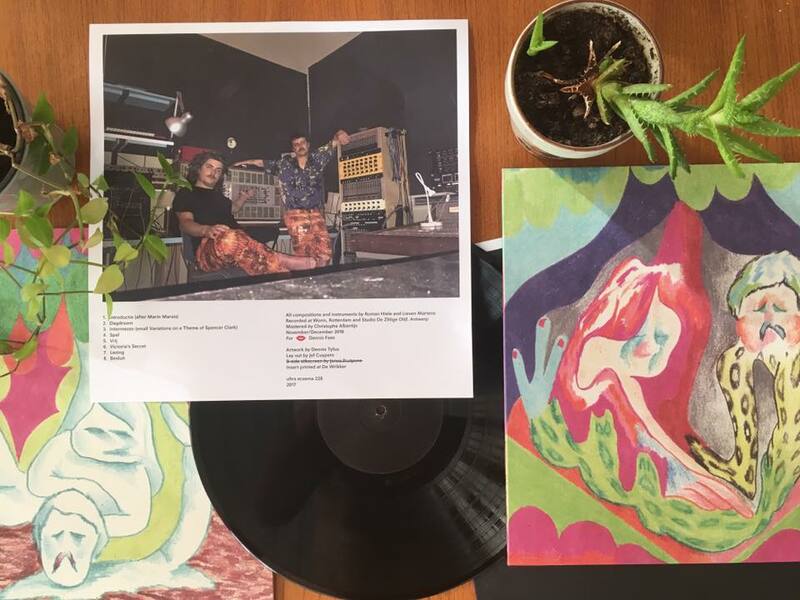 This outing, the duo’s first, was recorded at the venerable electronic studios of Worm in Rotterdam and at Studio De Ziltige Olijf in central Antwerp, where the stench of salty human bulk creeps into your mouth from about a mile away. During Hiele Martens’ few concerts one could detect and, indeed, savour a Jiskefet-like attention to detail: the correct lighting, and a sensitivity towards ‘tiny‘ sounds (such as ice cubes — shaken, not stirred — and little bells). The recordings on this LP make the ears work like they should, and they therefore require your full attention. Hiele has released his music on the Antwerp based label Ekster (Ritmische Bezinning 2016, Essential Oils 2014, Hiele 2013,). In 2016, YYAA Recordings released Hiele’s performance in the Schinkel Pavilion, Berlin 2014. In November 2016, Hiele released his first OST to the documentary Saints via Ekster. Hiele was nominated to the SHAPE platform by the Brussels based Schiev festival.